If you have been following me for any length of time, you know that April 16 is not my favorite day of the year. This is the day that I remember the power of evil and sin to destroy lives. And it’s the day that reminds me that in the journey of my life (and our lives) that evil doesn’t win. And each of us, we know the power of evil. We see it in the world. We saw it on 9/11. We witnessed it yesterday in Boston, and many, many lives were forever changed and disrupted. We have seen the force and power of evil. Evil has it’s moment. But evil doesn’t win. That said, I don’t like April 16. 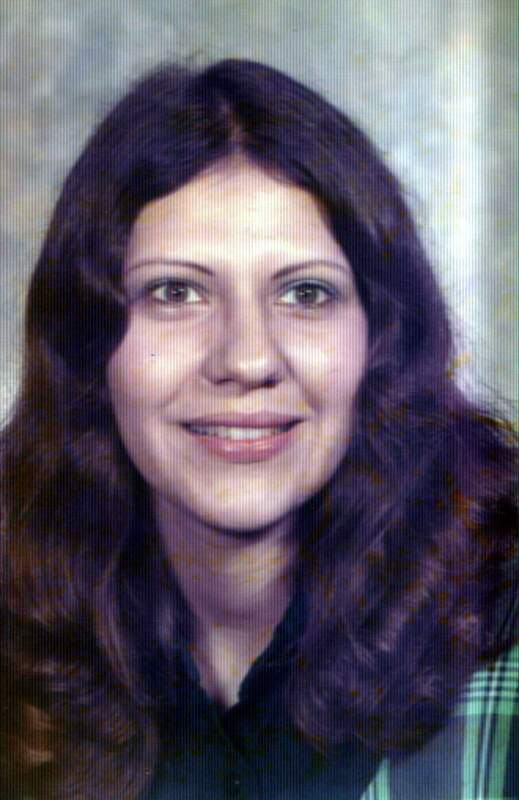 On April 16, 1978, my mother was murdered. I have always called her “Mama Sarah.” She was killed as she was walking out of our house, with me in her arms. She was walking out of the house because she did not want me raised in an abusive situation, in a situation full of drugs and destruction. She was walking out of the house because she wanted me to have a better life. And, every day I wake up and know that I am here, I give thanks for no greater love. I give thanks that I, literally, should not be here. And if you’ve ever wondered why I’m a little on the ADD side, this is why. I’m not going to waste a second that God has given me. I have experienced in my life the power of evil to bring destruction. But I’ve also seen this. I’ve seen that evil doesn’t win. See, when Mama Sarah died, I was adopted by her mother and step father. I call them mama and daddy, because that’s who they are. By the way, if you want to know the power of evil, consider this. Mama Sarah was murdered on her mother’s birthday, April 16. And she was buried on my birthday, April 18. Evil has it’s moment. But it doesn’t win. I was adopted and raised by my mama and daddy. And if I had not been raised by them, I wouldn’t have been raised in the church I was raised in. Which means that I may not be a Christian. Which means that I may not be a preacher. Which means that I may not be here, doing what I’m doing. I may not be affecting your lives and your faith. If I hadn’t been raised by my adopted parents, I wouldn’t have went to Bouge Chitto, which means I wouldn’t have went to Co-Lin which means I wouldn’t have met Holly, which means I wouldn’t have my family. God brought good out of this terrible tragedy. Was my mother’s murder a good thing? No. Or course not. My heart aches for it. But, the power of God is not that He stops bad things from happening. But that He can bring good our of anything. Evil doesn’t win. My life is a testament to that. All things will work for our good. And His glory. I am thankful. It may look bad. But know this. Evil doens’t win. Let us have that hope. And let us rejoice, even in our tears. Beautiful! God bless you Andy. I have not had tears well up inside me like that in a long time. You brought back some wonderful memories Andy. Thank you. Beautiful post, Andy! Thank you for sharing. As always, you remind us of the “good” that comes our way – even in the worst of circumstances. You know I’m a mama, and I can assure you of one thing – Mama Sarah is looking down at you, and she is tickled pink with the husband, daddy, pastor, friend, and man that you’ve become. We are all blessed to be a part of your journey.